Author: Bompeti Ngila. Series edited by: Wilhelm J.G. Möhlig, Bernd Heine. This ethno-linguistic survey studies the plant taxonomies of the Bolia, an ethnic group with a population of approx. 50,000 in the Democratic Republic of Congo. Their language Lolia (C 35b) belongs to the sub-group of Bantu languages within the larger group of Niger-Congo languages. 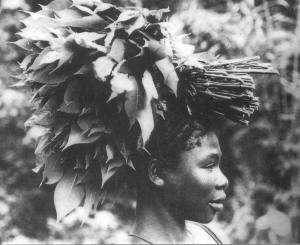 The Bolia originally inhabited the forested region of Bondombe close to the Equator between the Rivers Tshuapa and Lomela from whence they emigrated southwards. Today they live in the province of Bandundu north of Lake Mai-Ndombe. Their ethnonym Bolia ‘forest dwellers’ (lia ‘forest’), however, still refers back to their origins in the forest region of Bondombe. The Bolia are mainly subsistence farmers, with some additional hunting and fishing. A few farmers also grow coffee and cocoa for the international market. Cultivated as well as wild plants play an important role in their economy and culture. After the introductory chapter, chapter two focuses on the possibilities of categorization of plants. Chapter three describes the utilisation of the various plants in Bolia culture for nutrition, as medicine, in religious and magic rites, for house building, the production of tools and artisanry, etc. Three further chapters give a morphologic and semantic analysis of the Lolia plant names, and another chapter is concerned with the specific categorizations of plants in Bolia culture. The survey is completed by a corpus listing 500 Lolia plant names which have been considered for this study, and a concluding chapter. The act of denominating new plants or other objects involves the three steps of observation of the object, selection of impressions and finally verbalisation. 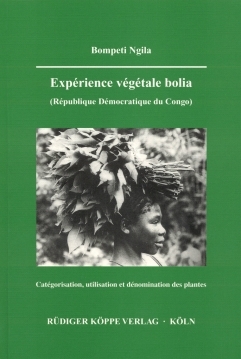 Taking the Lolia plant names as basis the author focuses on how the Bolia conceptualize the flora of their environment and by which criteria they categorize it. Thus, his survey covers both ethnologic and conceptual linguistic issues, illuminating the Bolia’s attitudes towards their plant environment on the one hand, and studying the methodologic problem of depicting the relationship between language, cognition, and extra-linguistic reality on the other. [...] nous espérons comme l’auteur lui-même, que cet ouvrage pourra servir non seulement aux chercheurs qui se préoccupent de la bionymie, mais aussi à tous ceux qui s’intéressent au monde végétal: biologiste, botaniste et ethnologue.